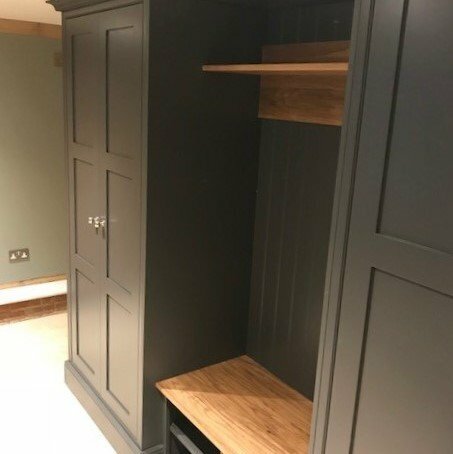 Our sleek, timeless Signature style furniture being used beyond the kitchen. 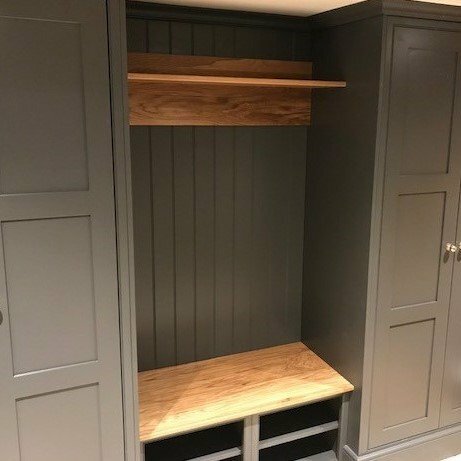 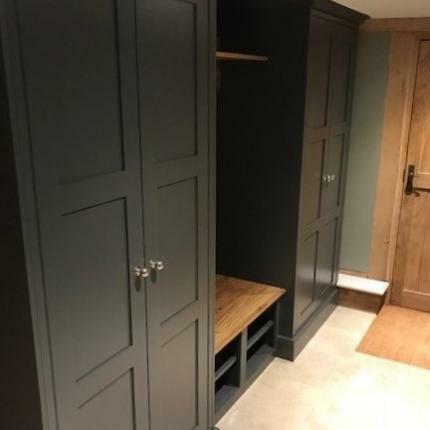 Two pantry cupboards joined with shelving and a seating bench, with shoe storage and coat hanging to create stunning storage solutions! Style – English Revival Signature, in Pebble Grey and Dovetail Oak. 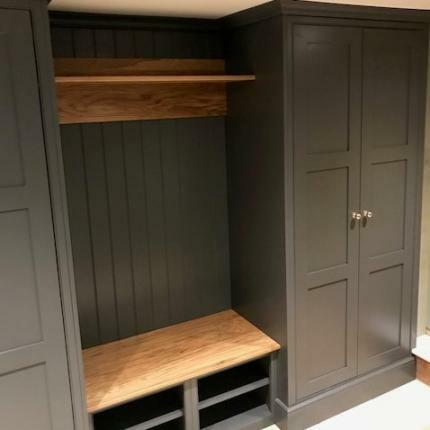 To arrange a consultation, complete our online form, call Benchmark on 01865 372372, or visit the showroom.